Blueberries are a nutritious treat, loaded with antioxidant vitamins that are beneficial to your health. If you enjoy gardening, you may want to plant your own blueberry bushes from harvested seeds. Blueberry seeds can be harvested from fresh berries on plants, from the produce section at the grocery store or even from frozen berries in your grocer's freezer. When you plant blueberries from seeds, it can take up to two years before the plants produce fruit. Put 3/4 cup of blueberries in a blender and add 3/4 cup of warm water. Select healthy, ripe blueberries. Blend the blueberries for 15 seconds. Let the berries sit for five minutes. During this time, seeds will go to the bottom of the blender while pulp debris separates to the top. Pour the debris off the top of the blender very slowly. Add another cup of warm water to the blender and let the mixture sit for another five minutes. Once again, blueberry seeds that are viable will float to the bottom, and pulp and debris will remain on top. Empty the pulp off the top again, very slowly. Repeat steps 3 and 4 until there is nothing left in the blender but water and blueberry seeds. Pour the blueberry seeds into a fine mesh sieve. Use a sieve that's woven small enough that the tiny seeds won't go out through the bottom. Allow the water to drain off the seeds for several minutes. Pour the blueberry seeds out of the sieve onto paper towels or coffee filters. Spread them out into a thin layer and allow them to dry for three days. Each day, stir the seeds around to make sure they dry evenly. Plant dried blueberry seeds right away, or put them in a wax or paper envelope and store them in the freezer until planting time. 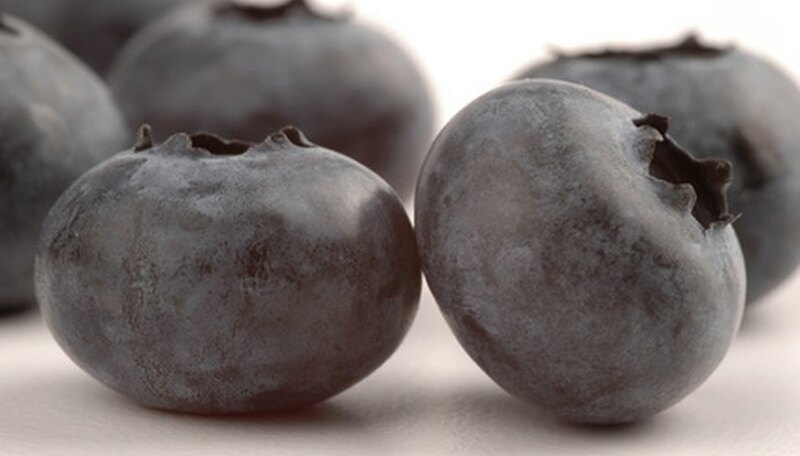 If you don't have a blender, mash the blueberry seeds by hand in a bowl, then put them into a glass jar and add water and drain as in the steps above. There are around 20 seeds in a single blueberry.